Eye makeup can make your facial makeup complete. Professional makeup artists give importance to eye makeup, and new techniques are constantly replacing old ones. Updating on special eye makeup techniques can leave you an expert in the field. It is after all not as hard as you think. 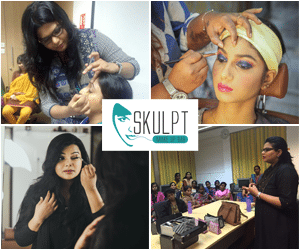 Choose Personal makeup classes from the list of makeup artist course in Chennai to give your career the right boost. These classes go a long way in enriching your profession. Given below are some simple eye makeup techniques that promise the best results. First, understand which color will highlight your eyes and match it with the eye shadow. The trick is to learn the hues and its effects. For example, violet color eye shadow opens up the green in the hazel eye, while topaz eye shadow will highlight the brown eyes to look more brownish. For blue eyes, coral, mauve and gray are the best. Eye shadows help to uplift your skin tone, and you can also contrast it with the color of your clothing. During day time try using soft eye shades and for the night out pick from indecent or brilliant colors. Not all have the same eye shape. First, identify the shape of your eye before you proceed with eye makeup. Each type of eye shape needs different makeup technique to be used. Look into the mirror and determine the shape of your eye or ask someone to explain your eye factors. Eye shapes can be classic oval shape, recessed, striking, wide apart or close together. These factors can help determine the type of makeup application to bring out the details in your eye. There is a way to shade your eyes to expose your eye shape better. For egg shaped eyes apply medium shade starting from the crease to the lashes. Try darker shades for the crease and light shadow for the brow region. You can blend the colors out and upward for better effect. For eye shape that is less than oval, redefine the shape of the shadow. Only a light shade will bring the eye forward and a dark shade will push it inside. If you are looking to make small and eyes sunken into the socket look bigger and prominent, it is best to use pale shades starting from the browbone and end it at the lashes. You can broaden it by making a small V using a darker shade right at the corner of your eye. Large eyes will look smaller by using a dark shade on the full lid and over the browbone. 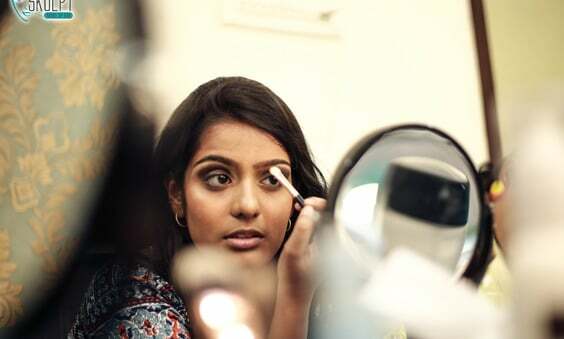 In the case of a close set, eye shape makes it look separated by using the pale shade on the lids near the nose and darker shade near the temple. For full set eyes, the same can be reversed for better effect. Liquid eyeliner can help to accent the shape of your eyes. Draw a thin line near the eye lashes and on the outer lower lid by one-third then smear it to give a natural effect. If you want your eye lashes to be wide open, use an eyelash curler before applying mascara. Firmly hold the curler close to the eyelash base and then squeeze gently, wait for three seconds and then remove. Now move the curler to the outer lashes and repeat the same process. Now apply the mascara with your eyes open.